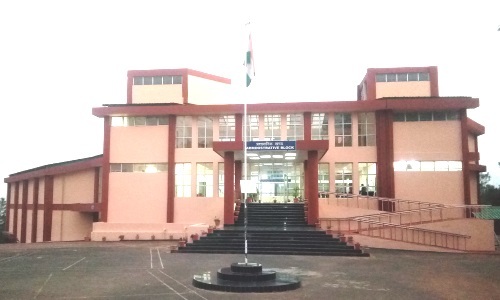 North East Regional Institute of Education is located at NERIE Campus, Umiam, Ri-Bhoi District, Meghalaya-793103. The residential campus for NERIE has been constructed by the Central Public Works Department (CPWD) at Barapani near Shillong amidst the picturesque hills of the East Khasi Hills of Meghalaya. The campus is located 2 Kms off from the Guwahati-Shillong highway and about 20 Kms from Police Bazar, Shillong. The geographical location of this Institute is 25.672790 (Latitude) and 91.914061 (Longitude) . This new campus is next to North East Space Application Centre (NESAC), ISRO. The campus is having a well-furnished administrative building (having space for office and faculty, conference rooms, library, EDUSAT, computer laboratory, Studio for e-content development, Photography, Videography and teleconferencing),auditorium, guest house and residential premises with housing facilities for the Principal, faculty and staffs. The entire campus is Wifi enabled. 4. Cricket/Football - MeCL ground is used.